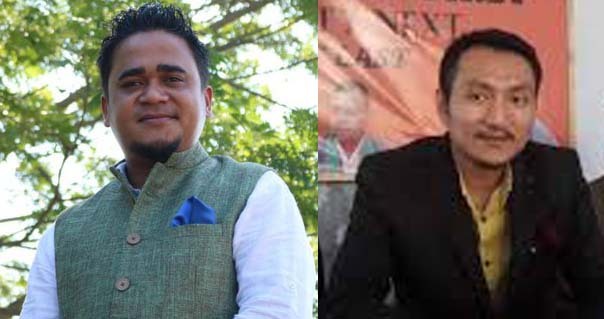 BJP ST Morcha’s national general secretary Hayithung Bill Lotha has threatened Richard Marak that the latter would face Rs 10 crore defamation suit and jail term if he does not apologise for his remarks against Meghalaya CM Conrad K Sangma. In a statement issued on Friday, Lotha termed Richard Marak, the Meghalaya State president of Youth Congress, as a “small-time functionary” of the Congress party. He also said, Richard Marak has gone astrary with “mad cow disease and schizophrenia”. Lotha’s comments come as he reacts to Richard Marak’s remarks on being declared Meghalaya CM Conrad Sangma as the ‘Iconic North-East hero’ by the former. According to a report published by The Shillong Times on February 7, Richard Marak said “some unknown person called Hayithung Bill Lotha” was praising Conrad for thwarting the Citizenship Amendment Bill (CAB) in the Rajya Sabha.